NEW - The 2018 Secretary General's Annual Report is out ! On 14 March 2019, Jens Stoltenberg released his fifth annual report as NATO Secretary General. The Report, he said, 'shows that NATO continues to modernise'. All about NATO in the form of a thematic index. A compilation of archived online topic pages which explain every aspect of the Organization: its origin and fundamental security tasks, policies and decision-making processes, peace-support and crisis-management operations and how the Alliance tackles threats and develops capabilities. 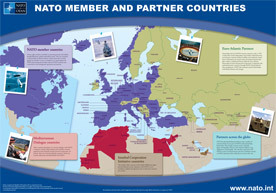 The pages also cover NATO’s partnerships and cooperative activities, its civilian and military structures, and specialised organisations and agencies, as well as NATO’s wider activities. A selection of NATO electronic publications. They are available in electronic format only but can be downloaded and printed. A chronological sets of documents issued by the International Staff and the NATO Military Authorities between 1949 and 1982. Currently provides users with the opportunity to explore the first 10 years of the Alliance’s history through the Committee documents of the North Atlantic Council and its sub-committees. 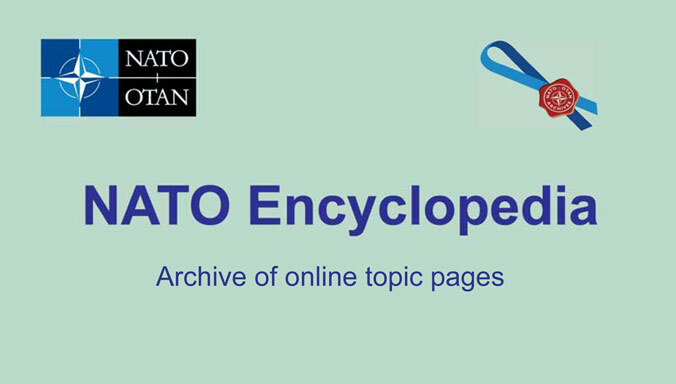 On 16 January 2015, over 23.000 new documents have been uploaded to NATO Archives Online covering three major areas previously unavailable on the web. New official NATO Terminology Database coordinated by the NATO Terminology Office (NTO) - which is part of NATO Standardization Office (NSO). NATOTerm contains non-classified military terminology, as well as non-military terminology relevant to NATO. 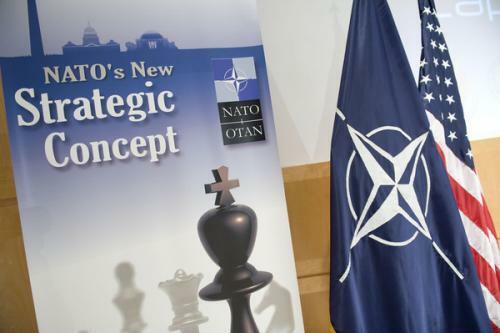 NATOTerm will become "one-stop shop" for all terminology. A 'hands-on' publication for NATO Command Structure (NCS) Public Affairs (PA) practitioners on how to conduct the Public Affairs functions of External Communications, Internal Communications, and Community Relations, focused on deployed operations". It expands on both ACO's 095-001 "Allied Command Operations Public Affairs" and ACT's 95-10 "Public Affairs Policy" directives, takes into account the substantial contribution of NATO member nations and subordinate commands and is to be considered an approved collection of tested tactics, techniques and procedures and best practices to guide and synchronise NCS Public Affairs activities at the strategic, operational and tactical levels of command. Civil-Military Cooperation Centre of Excellence (CCOE), 4th edition. The main purpose of this handbook is to provide a tactical reference, and an operational command level insight, for all personnel involved in Civil-Military Cooperation (CIMIC) and Civil-Military Interaction (CMI) activities, across the full mission spectrum. The secondary purpose is to create awareness for those organizations and individuals who have a vested interest in CIMIC/CMI activities. The NATO Handbook was published by the NATO’s Public Diplomacy Division under the authority of the Secretary General as a reference book on the Alliance and on Alliance policies. It is no longer updated and is shown here for historical purposes only. For an updated content, please refer to the NATO Encyclopedia. This handbook, published by the Joint Analysis & Lessons Learned Centre (3rd ed.) uses NATO's approach to Lessons Learned as the underlying model but has been written to be relevant to any organization. The purpose of this handbook is to guide and assist you in fulfilling your role in supporting their organization and NATO to effectively learn from experience. The NATO Logistics Handbook is published under the auspices of the Logistics Committee (LC) and aims to introduce logisticians at every level to some of NATO’s basic principles, policies, concepts and the organisations which they will encounter in the course of their work. This handbook defines and describes operations assessment principles, procedures and techniques in NATO, within the construct of operations planning, and should be used in conjunction with the Comprehensive Operations Planning Directive (COPD). 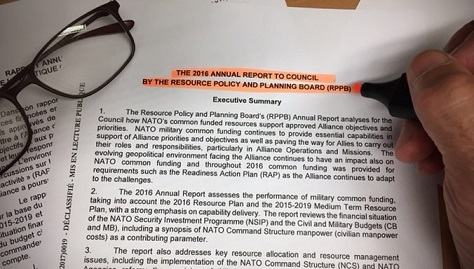 NATO’s Resource Policy and Planning Board (RPPB) published its 2016 Annual Report on Thursday (20 July 2017). The RPPB is a subsidiary body of the North Atlantic Council and has a lead policy and planning role in all NATO military common funded resource areas. 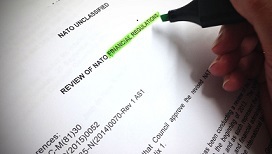 The Annual Report analyses how NATO’s common-funded resources support approved Alliance objectives and priorities; assesses the performance of military common funding; and reviews the financial situation of the NATO Security Investment Programme and the Civil and Military Budgets. The annual report provides an overview of how NATO protected its citizens and projected stability in 2016. It includes details on how NATO is enhancing deterrence and defence, engaging in dialogue, investing in security, improving capabilities, supporting the fight against terrorism, building relationships, sharing expertise, advancing the role of women in peace and security, and adapting as an institution. (13 March 2017). The Science for Peace and Security (SPS) Programme is one of NATO’s most important partnership tools, providing support to NATO’s political framework by developing and implementing joint collaborative activities with all partner countries. This Annual Report presents you with a detailed overview of the work and main achievements of the SPS Programme in 2015. The 2015 Summary of the National Reports of NATO member and partner nations to the NATO Committee on Gender Perspectives (NCGP) on the implementation of the United Nations Security Council Resolution (UNSCR) 1325 on Women, Peace and Security is the second edition of NATO’s comparative study on the integration of gender perspectives in the armed forces. Published on 7 March 2016, by NATO HQ, Office of the Gender Advisor International Military Staff. This is the first edition of NATO’s comparative study on the integration of gender perspectives in the armed forces. 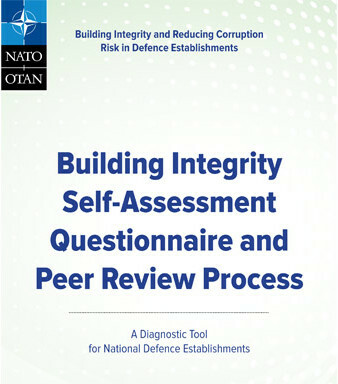 The RPPB Annual Report analyses how NATO’s common-funded resources support approved Alliance objectives and priorities; assesses the performance of military common funding; and reviews the financial situation of the NATO Security Investment Programme (NSIP) and the Civil and Military Budgets (CB and MB). By the NATO Communications and Information Agency. Starting in 2016, NCI Agency's Communicator Magazine covers cyber trends, the Agency's latest achievements, outlook to the future, and milestones of the past. This Academic Journal is a bi-annual, open access, peer-reviewed and refereed journal published by the NATO Strategic Communications Centre of Excellence (NATO StratCom COE), Riga, Latvia. By NATO Joint Analysis & Lessons Learned Centre. Including the "NATO Lessons Learned Handbook", the "Joint Analysis Handbook", the "JALCC Explorer" Magazine. By NATO´s Joint Air Power Competence Centre. By NATO Allied Land Command. A bi-annual printed publication of NATO ALC. NCI Agency delivers secure, coherent, cost effective and interoperable communications and information systems and services. The NCI Agency list of Publications reflects the Agency’s mission, as well as involvement in various projects. The NDC Research publications include the following titles: "Research Papers", "Forum Papers", "Eisenhower Papers", "Reports". 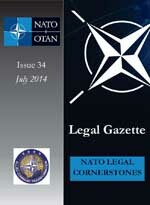 The NATO Legal Gazette is not a formal NATO document. Its articles do not represent the official opinions or positions of NATO or individual governments. By by NATO Allied Command Transformation’s Operational Experimentation Branch. By the NATO Rapid Deployable Corps Italy. By NATO Headquarters, Public Diplomacy Division. NATO Review online magazine looks at key security issues through the eyes of the experts. Available to NATO staff at NATO HQ and at some other NATO stations. The concept itself of military forces performing police duties to cover the “security gap” has evolved up to the current concept of Stability Policing (SP). The CoE's website offers direct links to NATO Stability Policy Frameworks and other documents related to this field. The NATO StratCom CoE, based in Riga, Latvia, contributes to improved strategic communications capabilities within the Alliance and Allied nations. The NMIOTC MIO Journal is a professional publication aiming to serve as a forum for the presentation and stimulation of innovative thinking on NATO Maritime Interdiction related issues such as doctrine, concepts, force structure, employment and readiness. By NATO Allied Joint Force Command (Brunssum). By the PfP-C (Partnership for Peace Consortium ) Emerging Security Challenges Working Group [NPfP-C is not a NATO entity but NATO is one of its stakeholders]. The Emerging Security Challenges Working Group is co-chaired by the «NATO Emerging Security Challenges Division« and the «Geneva Centre for Security Policy» (GCSP). By NATO Joint Warfare Centre. "The Three Swords" is the JWC's authorized magazine published three times a year by the Public Affairs Office. By NATO Allied Command Transformation. 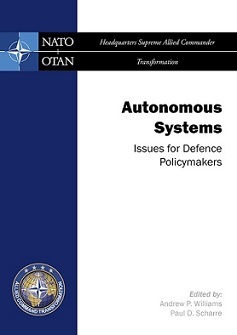 Published by NATO Supreme Allied Commander Transformation, this volume is designed to provide perspective, promote thoughts and present opportunities to facilitate transparent debate and development of an operational Stability Policing capability for the Alliance. Published by NATO Allied Command Transformation, the Strategic Foresight Analysis (SFA) 2017 Report builds upon the SFA 2013 and 2015 Update Reports and provides a wide-ranging shared understanding of the future security environment. The SFA describes the future NATO expects to unfold to 2035 and beyond, depicted as political, social, technological, economic, and environmental trends. Where trends may move in diverging directions, an alternative view is provided to maintain utmost objectivity. It is based on a review of many national, think tank, international organisations and industry future studies. Sources also comprised studies from non-NATO countries, including China and India, and South Asian partners such as Australia. A Report Produced by an independent Group of Senior Experts (18 April 2017). The Group of Senior Experts (GSE) was appointed by the Secretary General on 20 October 2016 to provide independent advice and recommendations, in response to two recent performance audit reports by the International Board of Auditors for NATO (IBAN), which highlighted the need for improved governance arrangements. A practical guide to working with the NATO brand. The goal of the introductory Digital Media Management Guide is to help our community accomplish this intent by streamlining, standardising and synchronising digital media management. In an effort to satisfy specific partner education and training needs, the Partnership for Peace Consortium (PfPC) Emerging Security Challenges Working Group (ESCWG) has developed a Cybersecurity Reference Curriculum. This document is the result of the work of a multinational team of volunteer academics and researchers drawn from 17 nations associated with the Partnership for Peace Consortium (PfPC) Emerging Security Challenges Working Group (ESCWG). The aim was to produce a flexible and generally comprehensive approach to the issue of cybersecurity. The Building Integrity Self-Assessment Questionnaire (SAQ) is a key component of the practical tools developed in the framework of the Building Integrity (BI) Programme. Introduced in 2008, the BI SAQ was designed as an analytical tool for use by nations. 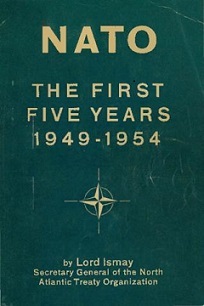 This booklet contains the agreed language from MC 0457/2, approved in December 2010 by the 28 Chiefs of Defence that make up NATO’s Military Committee, and endorsed by the North Atlantic Council in February 2011. Lord Ismay, Secretary General and Vice-President of the North Atlantic Council announced in October 1953 his attention to "describe the work of NATO in every field since the foundation of the Atlantic Alliance. Such a five-years' survey of NATO would place in proper perspective the progress achieved since 1949…"